I love that animal.. Does this mean that lynx wont ship with gnome-shell as default. It is an lts release after all. My personal opinion is that gnome-shell is nowhere near ready. I’d like to see an installation that lets you choose which shell to install.. You could choose KDE, or GNOME (current version), or GNOME-SHELL, or XFCE. No, according to Mark Lucid will still use the traditional GNOME 2, Lucid+1 is when the switch will be made to 3.0 and the new shell. will Kubuntu be LTS as well? In the past few years has been to Ibiza, so they met with a man whose style of presentation is very similar to yours. But unfortunately, the man is very far from the Internet..
Did Shufflebottom also mention anything about how easy 10.04 would be for girls to use? Thank you for the letter of Mark Shuttleworth. 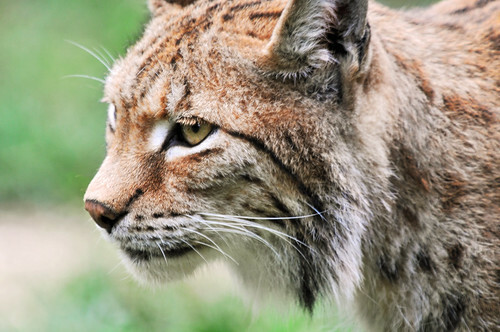 I agree with him and I most of all liked his words about lynx: “The Lynx is a predator that depends on very considered tactical positioning for success. ” Well said, and in every small detail describes the idea of LucidLynx software. I have been using Linux for more than 4 years, and I have never been disappointed! Robert A.
I’ve been running Ubuntu for years, but never did upgrade to Lucid Lynx. Why? Because I encountered so many problems when upgrading to Karmic Koala. My sound card stopped working and then my video card began having issues. I eventually got them straightened out, but only after days of frustration. I’m reluctant to relive that experience.